Every once in a while we experience an event that is so fun, so fulfilling that the glow remains for days and the memories last for life. I had one of those days last Saturday. I wasn’t the only one that experienced the ebullient well-being; in fact, I probably felt it least of the participants. 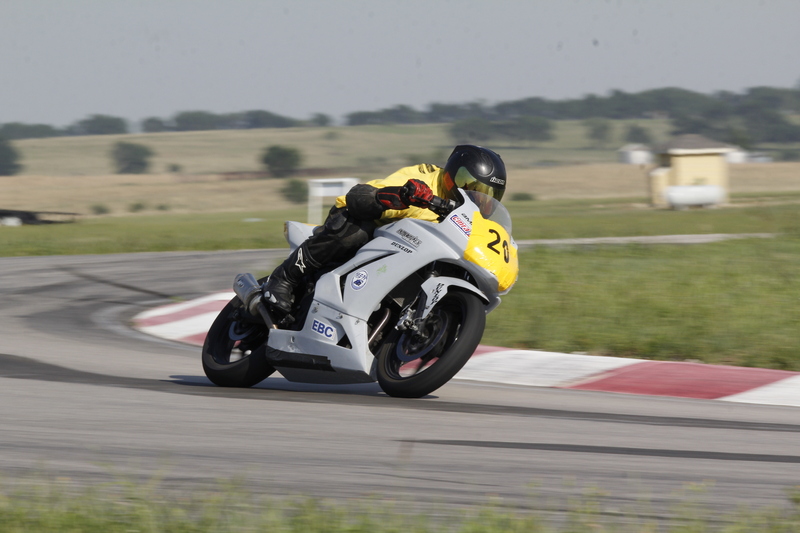 My son, Russell, and two of his buddies, Derek and Richie, raced in CMRA‘s Eight Hour Mini Endurance 250 cc Class motorcycle race at Eagle’s Canyon Raceway in Decatur, Texas. 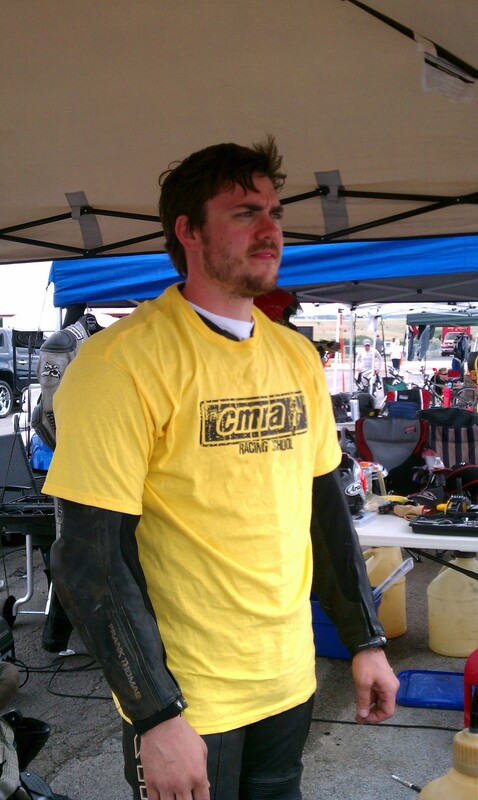 The three members of team Skidmark were all novices to racing, but they made a respectable first run at the sport. Happenings that stick permanently in our memory banks are most often the ones that are earned with grit and usually some form of failure before we get it right; last Saturday was no exception. 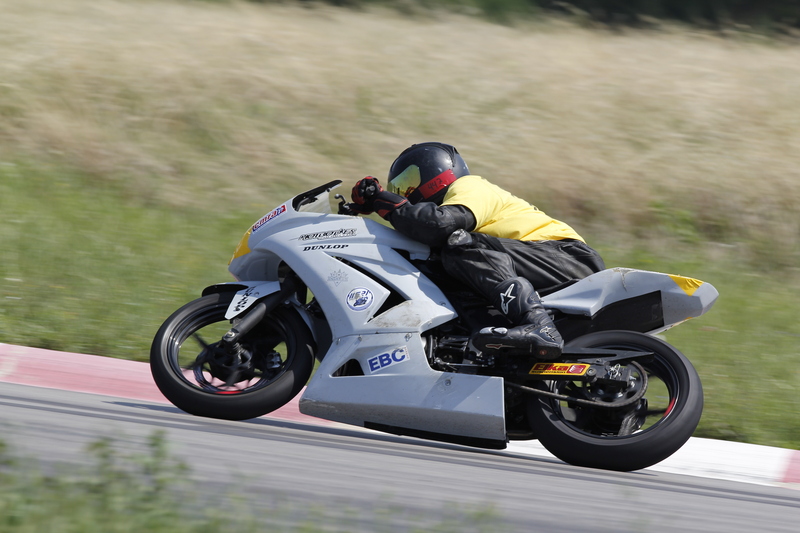 I held my breath longer than any Guinness World Record holder to-date as Russell stood up and dusted himself and the bike off, got an OK from an on-track tech man and rode a couple more laps before he was forced into the pit to replace the shifter that was crippled in the fall. When he got off the bike, he was too shaken to finish his run that should have stretched another twenty minutes. I struggled with my composure as I watched my tall, strong son wrestle with dread of his next relay run. 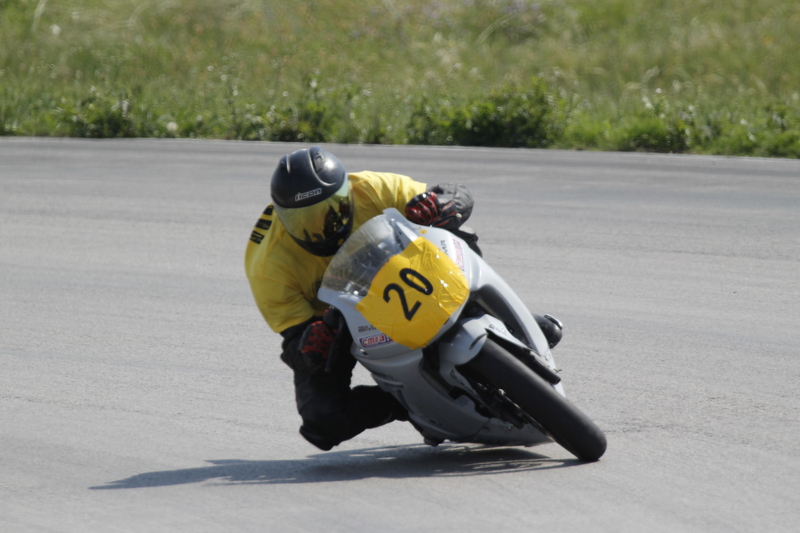 I listened as he quietly vented of his big feet dragging and how hard it was to get them under the shifter after each corner, of how anytime he needed to adjust his center of balance the bike shimmied on the track; an uncomfortable feeling at best. Russell was so easy to spot on the track: taller and broader-of -shoulder than any racer in the field; a definite handicap in a 250 cc race. Everyone at the track was supportive of each other; teams helping other teams even as they were competing against each other. I watched as Richie, Derek and Russell worked together; the warm reinforcement and team effort was palpable; Russell needed only to convince his psyche to support his physical efforts. I had to leave before Russell started his next segment, but he kept me informed of the team’s progress. He overcame his trepidation and contributed to the team as I knew he would. 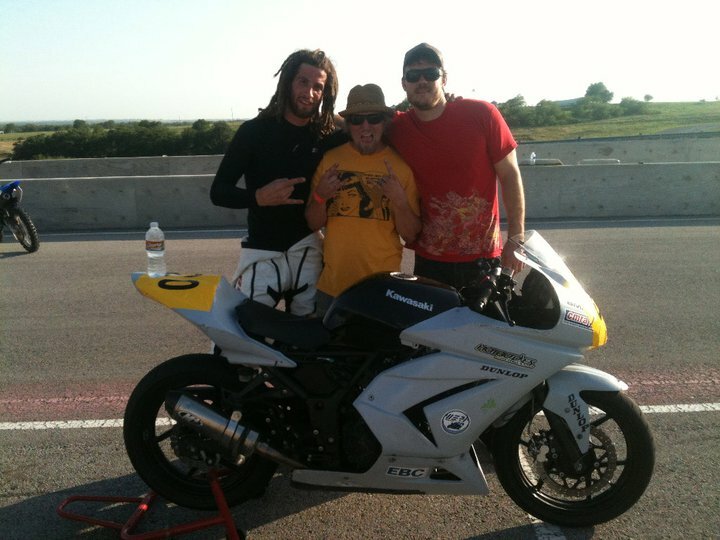 All three men, with their varied talents and abilities, created a stronger whole than the sum of the individuals: Russell with his intelligence and true humility in learning the art of a new sport; Richie, his stream-lined physique and gentle soul with some of the quickest lap times on the track; Derek, the natural-born mechanic – a tool has never felt so at-home as in his competent hands. 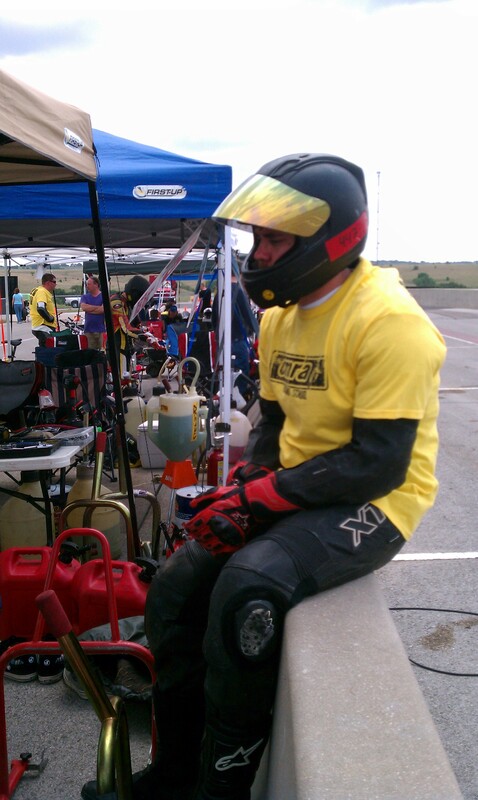 Derek, Russell and Richie completed 261 laps in eight hours at an average speed of 90 mph and came in at 18th place out of 32 teams. I love you and your tenacity, Russell. Yah, I am. And, yah, he is. It must be one of the most thrilling, nerve-wracking but the proudest events for you as a mom to watch your son on the race course. Pretty neat to see those speed shots. Go Russell & the team! Thanks, Reese! You about summed it up.